The government will stand or fall depending on what it does in Beit El, ministers tell Netanyahu. Less than two weeks to go. The government will stand or fall in the next two weeks depending on what happens in the Israeli community of Beit El, north of Jerusalem. Ministers have informed Netanyahu that if the Ulpana neighborhood of Beit El is destroyed, his coalition will follow. The warning came during a cabinet meeting in which the timetable for Judea and Samaria demolitions was revealed. Ulpana is scheduled to be demolished on May 1, the Givat Assaf community several weeks later, and Migron on August 1. Ministers told Netanyahu that the timetable is irrelevant, because if the May 1 destruction of Ulpana were to go through, the government will not be around for the other two. Pictures of the destruction will remind the public of the destruction of Gush Katif, they warned. The demolition of Jewish communities in Gaza has been generally recognized as a bad idea, particularly as thousands of residents of the towns have not yet been resettled nearly seven years later and the terrorist ocket barrages from the destroyed communities have been unrelenting. Several ministers from Netanyahu’s own Likud party have warned that they will not wait for May 1, but rather, will force a stop to demolition plans through legislation. A law is in the works that would ensure that homeowners can remain on their property if a claim to the land is made several years after purchase. The law would provide claimants with monetary compensation in place of the original property, as is the practice in other countries. 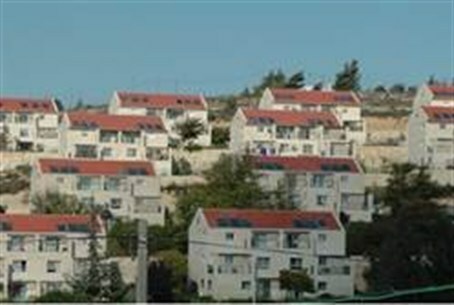 It would affect thousands of Jewish families in Judea and Samaria who bought homes many years ago on abandoned land with government help, far from any Arab community, who are now facing sudden lawsuits by Palestinian Authority residents, claiming the land on which these homes are built. Some of the land was purchased and either the owner was afraid for his life and therefore did not go through legal channels or the owner was fraudulent, taking advantage of the similarity of Arab names and language barriers. The Supreme Court has tended to side with PA plaintiffs in such cases even without proof of ownership. On Sunday, members of the Likud Central Committee, along with MKs and ministers from the party, will hold an emergency meeting in the Ulpena neighborhood to discuss the issue and declare their strategy for the days ahead.